Lift cables are used to raise and lower the garage door. They are attached to the bottom brackets and the drums (attached to the tube). Based on the weight of the door, the cables are wider and contain more steel wire. 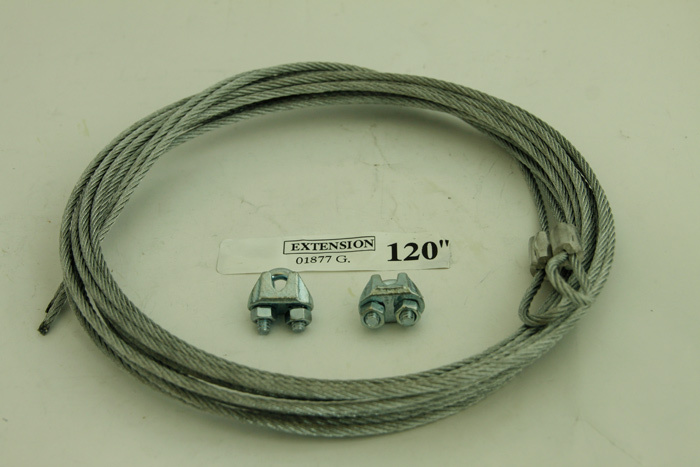 Safety cables: installed on residential hardware with extension spring systems. These cables are inserted in the spring, and if the spring happens to break, the cables keep the broken spring in place.